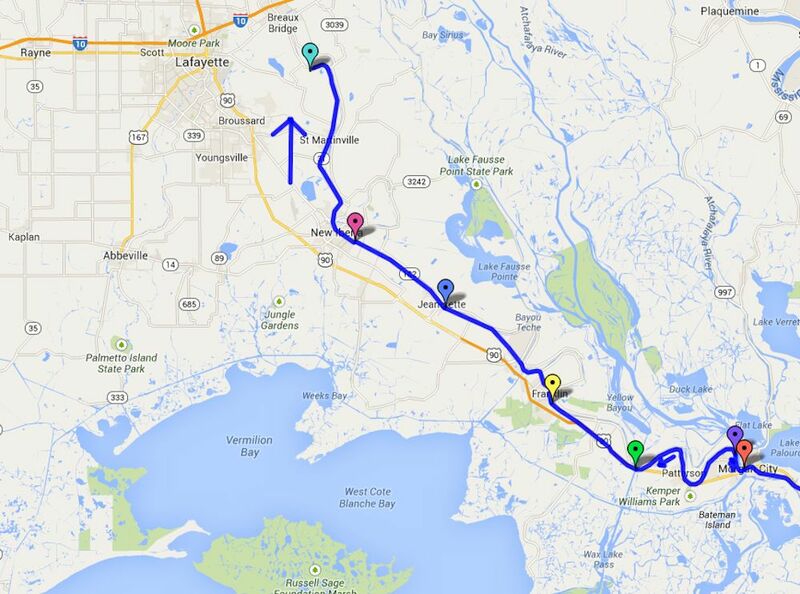 On this day, the 16th Ohio resumed its march northwest along Bayou Teche. It was a hard march which began at 5:00 am, taking them 19 miles, passing through New Iberia and St. Martinsville, Louisiana. 1863 military map showing the approximate route of the 16th Ohio on its march northwest to a point east of Vermilionville (modern day Lafayette), Louisiana, on October 9, 1863. 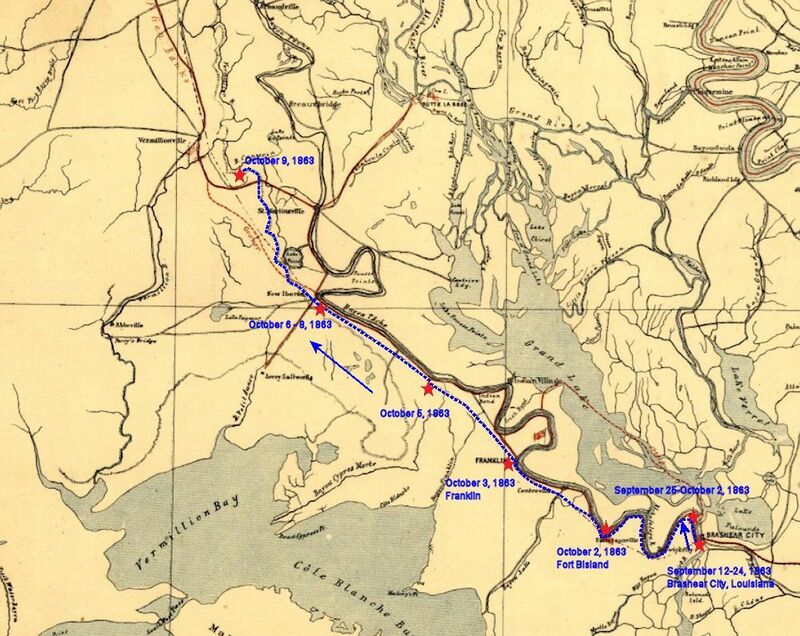 Modern day map showing the approximate route of the 16th Ohio on its march northwest to a point east of Vermilionville (modern day Lafayette) on October 9, 1863. Red pin - Approximate location of the campsite of the 16th Ohio at Brashear City (present day Morgan City), Louisiana, where they arrived at noon on September 11, after a seven mile march from Bayou Boeuf. Purple pin - Approximate location of the campsite of the 16th Ohio along the Atchafalaya River at the mouth of Bayou Teche where they arrived on September 25 and camped until the morning of October 3, 1863. Green pin - Approximate location of the 16th Ohio at or near Fort Bisland, Louisiana, October 3, 1863. Yellow pin - Approximate location of the 16th Ohio at Franklin, Louisiana, October 4, 1863.